In the SCUMM Bar is a patron named Cobb who is wearing a pin that says "Ask me about LOOM". Cob (without the extra B) is a character in LOOM. 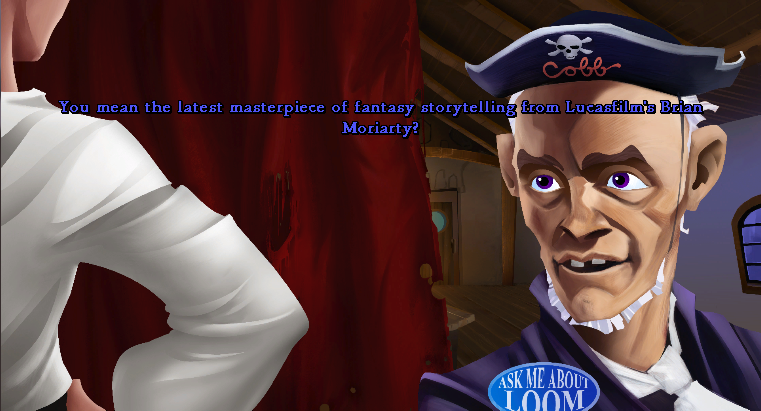 When you ask him about LOOM, he goes into a long sales pitch gushing about the "latest masterpiece by Lucasfilm's Brian Moriarty". Brian Moriarty was the project leader of LOOM.